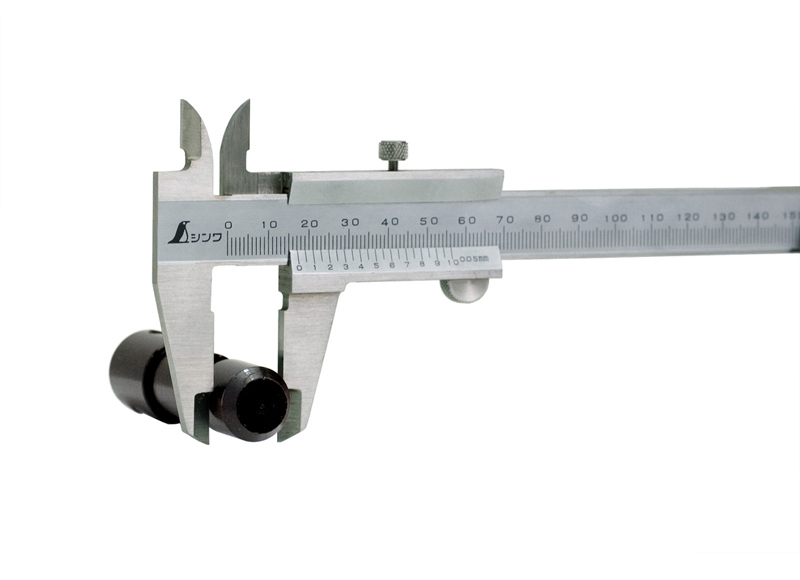 When measuring outer diameter or thickness, the object is gripped between the external jaws of the caliper. 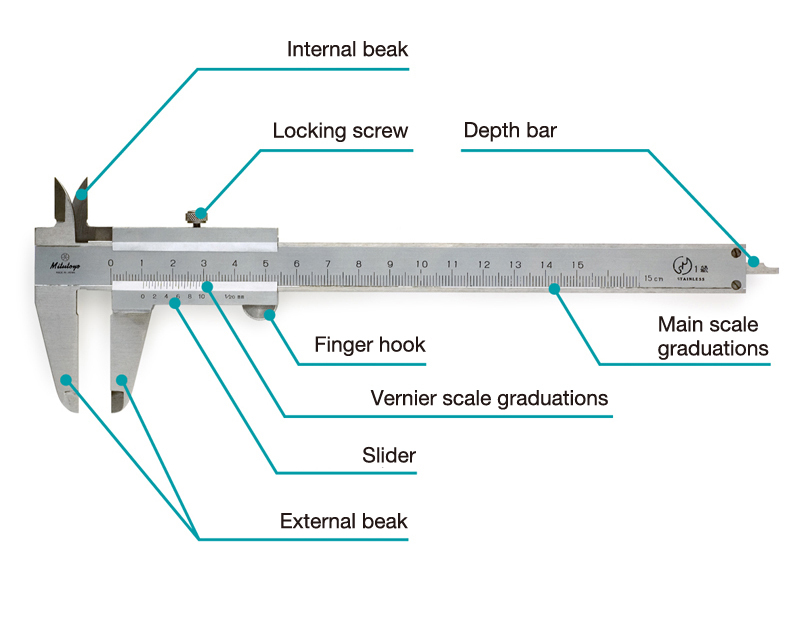 When measuring inner diameter, the internal beaks are inserted into the object and expanded. The back of the caliper is used to measure gaps. The jaw attached to the main scale and the beak attached to the slider are alternately locked tightly into the gap. 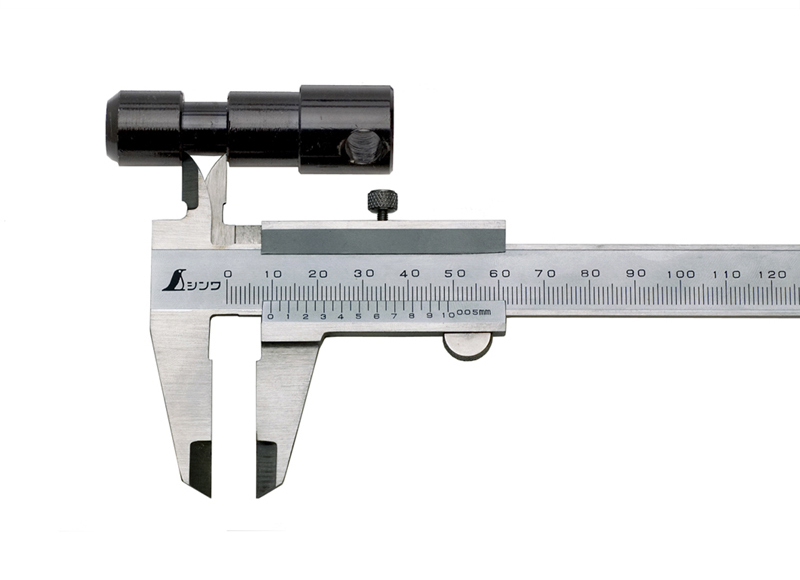 To measure depth, the tip of the main scale is rested on the edge of the hole and the depth bar attached to the rear end of the caliper is extended to the bottom of the hole. The prototype of the Vernier caliper was invented by the Portuguese mathematician Pedros Nunes (Latin name: Nonius) and it is said that the Japanese word for caliper, “nogisu”, came from a mispronunciation of Nonius. 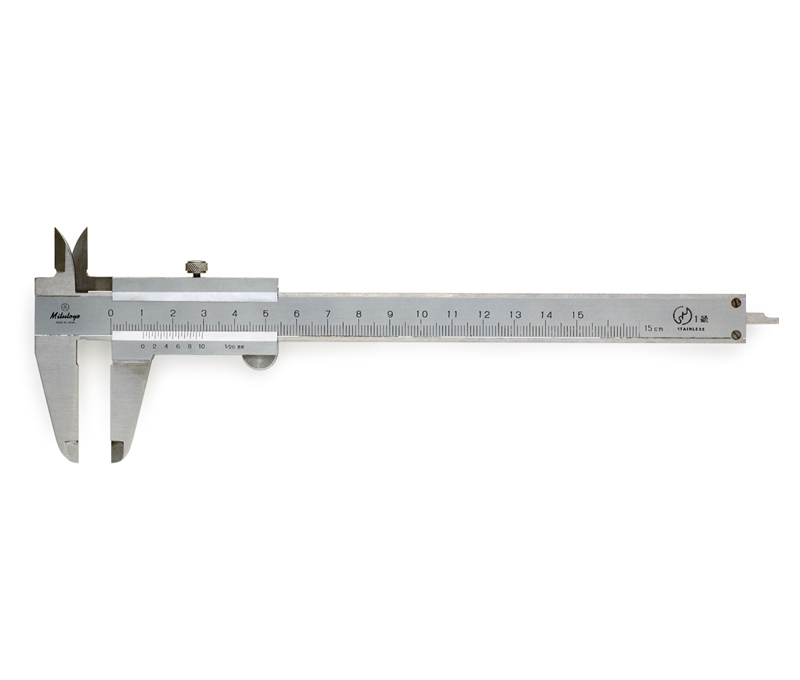 The modern type of Vernier caliper came from the invention by the French mathematician, Pierre Vernier (hence the name). Today, there is also a digital Vernier caliper which displays results in digital format. 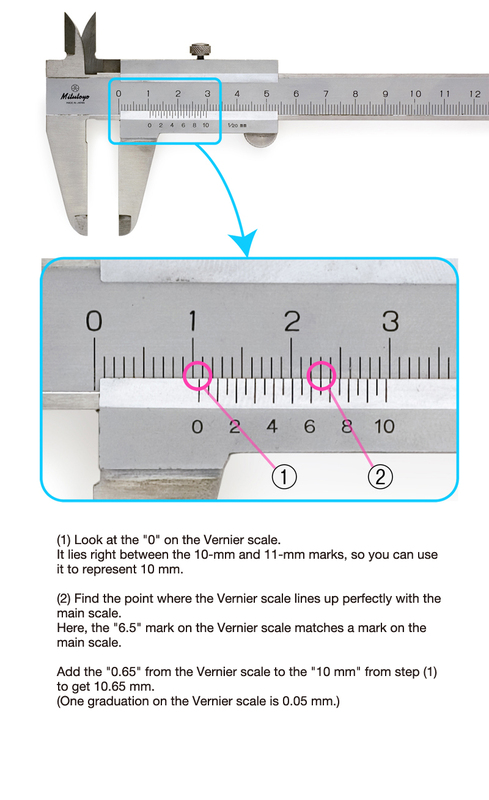 The Vernier caliper can be purchased at home centers and hardware stores.